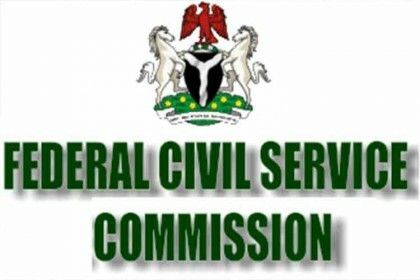 The Federal Civil Service Commission has released Batch A lists of shortlisted candidates according to the 36 States, for applications into Federal Ministries according to the statement signed by Hon. Chairman, Federal Civil Service Commission MustaphA L. Sulaiman. The Federal Civil Service Commission aside from the Batch A list for each state below, also released timetable for interview for each Ministry. Applicants are warned to BE CAREFUL OF SCAMS. NO LEGITIMATE EMPLOYER OR ITS AGENT WILL ASK FOR PERSONAL INFORMATION SUCH AS CREDIT/DEBIT CARD NUMBERS OR BANKING INFORMATION OR ASK YOU TO PAY ANY MONEY. Below is the breakdown of affected ministries that require applicants. The lists apply to applications received by Federal Civil Service Commission (FCSC) submitted during the 2016 Recruitment Exercise. All shortlisted Applicants are expected to check for their names under their State of Origin, below. Thereafter, check the Timetable to see when your Ministry/cadre has been scheduled for Interview. Candidates are expected to adhere strictly to the date/time as scheduled for their Ministries/Cadres. Shortlisted Candidates should come along with their means of Identification (e.g. Driver’s License, National ID card, International Passport, etc) and two (2) passport size photographs. MR OJEKERE ON (0706538/3208) OR ASSISTANT SALES MANAGER MRS MARY ON (0813206/6217) FOR INQUIRY..
What Of Akwa Ibom List?